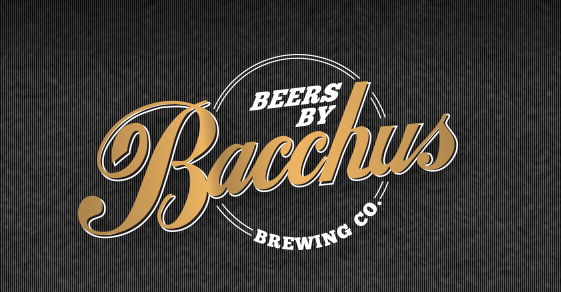 Bacchus Brewing Co. is a true craft beer success story. Initially tacked onto a home brew supplies shop in Capalaba, the brewery has gained such traction with the local community that the home brew shop (owned by the brewery) has been moved down the road to make room for a brewery bar. They are different to almost every other brewery in Australia, as they only brew very small batches, often with many on the go at any one time. This subsequently means that these guys produce a huge variety of different beers every year. I only ever used to run into their beers at GABS; until late last year they released their beers in bottles! Naturally I bought a huge variety! So with that decided I kicked off with Rakau. It's a hop that I'm not hugely familiar with, although I know a few home brewers who rave about it. That said I've never had it on it's own so am not 100% sure what to expect from this beer. What I got was an excellent IPA! There was this wonderful nose packed full of apricot with hints of pine. The flavour was similar with both apricot and pine flavours abundant as well as some other indistinct stone fruit flavours. It's a beer that I could easily see myself drinking quite a lot of, it's particularly sessionable for 8.2%. Second cab off the rank is called Nelson, I'm assuming it's Nelson Sauvin. This, alongside Japan's Sorachi Ace, is one of the most distinctive hops. It's flavour is characterized by gooseberry and passionfruit flavours, with more than a nod to the Sauvignon Blanc grape variety from the same region. 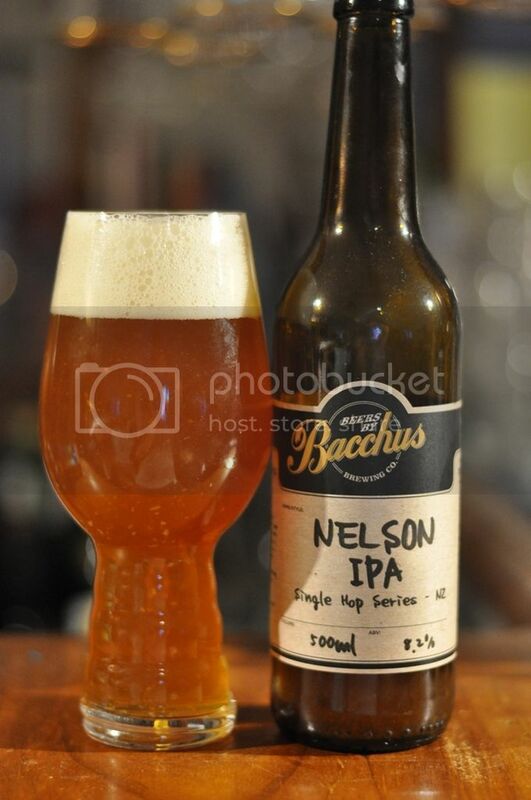 Nelson Sauvin has never been, nor will it ever be, my favourite hop. This IPA however was surprisingly good. Passionfruit was the dominant flavour and I also picked up quite a bit of grape, or possibly gooseberry that I am not identifying correctly. It really does taste like a bitter, beery version of a Sauvignon Blanc! 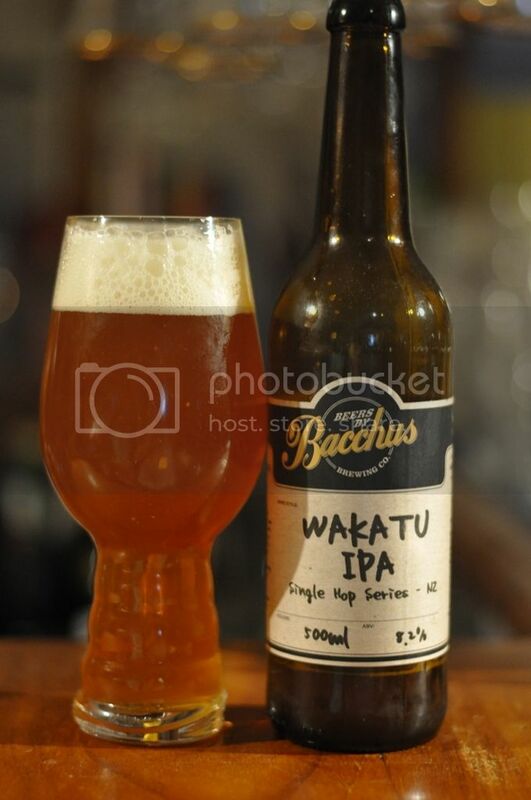 Wakatu is one of the older New Zealand hops, coming out of the Research Centre in 1988. It's a Hallertau cross - so it's not a surprise to find that this hop normally produces plenty of floral and citrus characteristics. As far as I'm aware it's normally used in lagers, so I'm quite interested to see what it's like in an IPA. So the nose was quite interesting with lime floral notes dominating. The flavour was similar with lime, some other citrus zestiness and hints of floral all present. There is also this wonderful juicy pineapple flavour, which I can't recall ever picking up from Wakatu before. 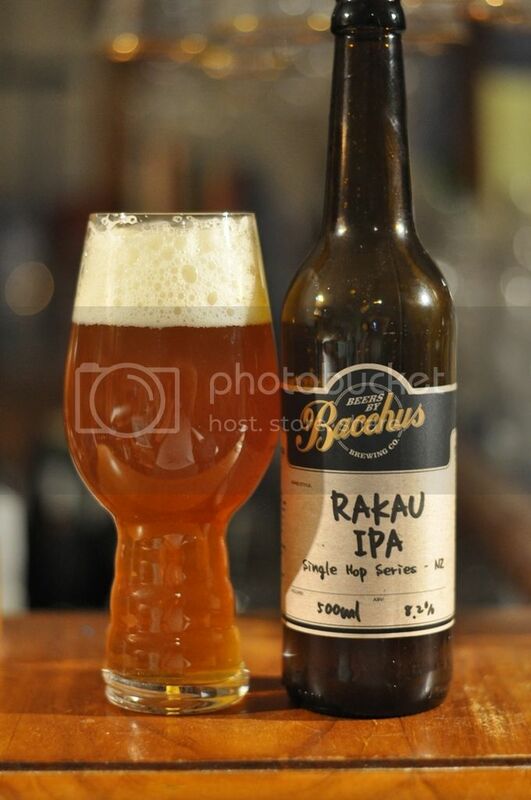 So that wraps up Part 1 of the Bacchus New Zealand Single Hop IPA series. Next time, hopefully in the next fortnight, we will get into Riwaka, Waimea (the second Single Hop IPA I've had with this hop, following on from BrewDog's IPA is Dead 2013 version) and Pacific Jade. If these first three are anything to go by I'm expecting some more excellent IPA's, particularly from the Waimea!